The Koch Lumber Company building, once located on South Garmisch Street and Cooper Avenue. 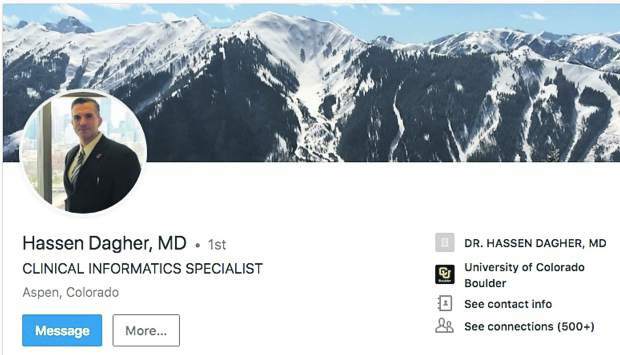 If you read the books about Aspen’s storied history, you will encounter — over and over — surnames such as Wagner, Wheeler and Cooper. And indeed they are part of this Rocky Mountain resort town’s allure. In fact, they are among so many family names that we know to this day (and some that appear as columnists and sources of our newspaper to this day, truth be told): Vagneur, Marolt, Cerise, Moore — and so many more. But, to be sure, many locals and visitors who stroll the streets and enjoy the parks have no idea why or how the names of our town’s streets, parks and other iconic places are so-named. But recently, a simple call to the newsroom got us thinking. If Sid Eder could recount his family’s Aspen lineage to a founder of the Colorado Rocky Mountain School, to a wife’s great-granddaughter who now lives in Aspen and makes her living as a teacher in the valley, and whose blood is bound to the Cooper family, what other stories create the patchwork quilt that is Aspen’s downtown? To find out, we asked the Aspen Historical Society to help us learn more about the names — and people, families and stories — that seem to define modern-day Aspen is so many ways. It was an a amazing treasure hunt. Garmisch Street was originally called Center Street (due to its location in the center of town) until 1966, when the mayor of Aspen’s first sister city, Garmisch-Partenkirchen, visited Aspen. In honor of his visit, the mayor (Phillip Schumpp) was made an honorary citizen of Aspen and Center Street was renamed to Garmisch; the paper noted that a park and two ski trails also were renamed. 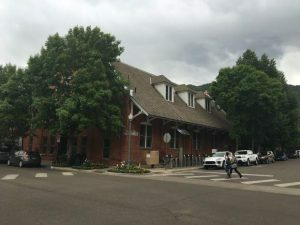 Cooper Avenue, like Durant Avenue, was named after a person, but the Aspen Historical Society has no confirmation about whom those persons were. Both Cooper and Durant owned quite a few mining interests in Aspen in the early 1880s, but there is no way to verify for a fact that the streets were named after either them. Sid Eder would likely argue Cooper Avenue is his family’s namesake. Wagner Park was originally the site of the Clarendon Hotel (built in 1881). After burning down in November 1884, it reopened to become one of the most popular hotels on the Western Slope in the late 1800s. It was later sold and sat vacant for several years when then-Mayor Charles Wagner recommended using the vacant lots on Cooper Avenue between Mill and Monarch streets as ball fields. In articles on July 1, 1913, The Aspen Times describes the finishing touches being put on the baseball diamond as the crowds were showing up to watch the practices in anticipation of the Fourth of July game against Carbondale with “Happy” Hogart pitching for the Aspen team. 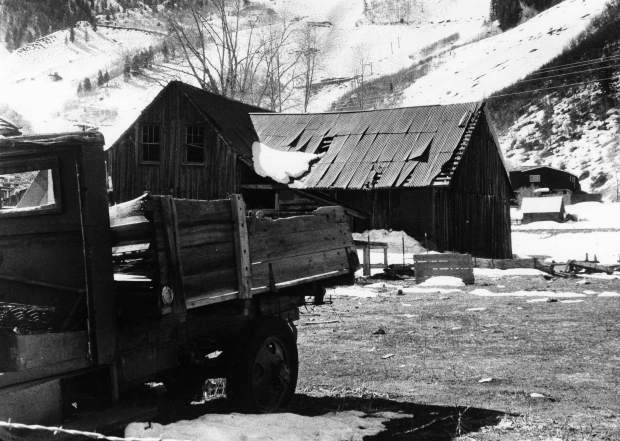 In 1948, the Wagner property was acquired by the city at the urging of then-Mayor Gene Robison by tax deed, but it was discovered in June 1957 that though it had been understood that the city would be a co-owner, the city of Aspen had no legal claim to the park — it was county-owned. It is unclear when it was officially transferred to the city. Since then, Wagner Park has played host to events ranging from the Food & Wine Classic to Ruggerfest and much more under the city’s auspices. Today a gem in Aspen’s public parks’ inventory, Glory Hole Park on the eastern edge of downtown has one of town’s most intriguing backstories. According to the Democrat-Times on Aug. 12, 1918, there was a “cave-in at the A.-J. Stopes on the third level of the mine collapse, breaking to the surface, leaving a hole 100 by 200 feet in diameter.” Further, sections of the Colorado Midland Railroad tracks along with two freight ore cars fell into the hole. Power lines also were pulled in the hole making it difficult to get the freight cars out of the way before they fell in (they had to shut down the power to make it safe). Over the next couple of months they fixed the water flume and blasted the sides of the hole to get to stable bedrock and end the continued expansion of the hole. Then, in 1945, the hole was graded over after it was filled with trash from a citywide cleanup. But by April 1949, it became such a nuisance that the dump was declared closed. Eventually, a neighborhood sprung up around Glory Hole, leading to its ultimate future as a park. Designed by Irving Shechter in the late 1960s, who won the competition that was held in February 1967 with a possible budget allocated at $5,000, Glory Hole Park was officially built as a city park that year. 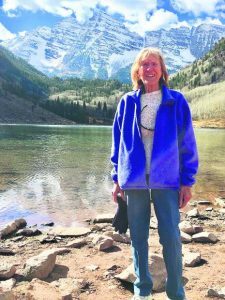 Editor’s Note: This story originally appeared in the Thursday edition of the Aspen Times Weekly, though a production error led to an omission of some information. We apologize for the error.